Sing Lit Station (Ltd) seeks an experienced, passionate manager to lead a team of 2-3 full-timers and multiple part-timers, interns and volunteers in our day-to-day operations and administration. The manager will also be tasked with planning our long-term strategy together with the Board of Directors and its Executive Committee. 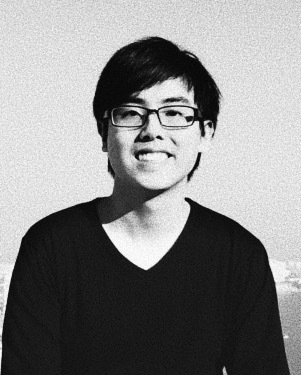 Station Director / Joshua Ip is an award-winning poet, editor and literary organizer. He is the founder of Sing Lit Station, the Chairman of the Board of Directors and a member of its Executive Committee. Fiona Chan is the managing editor of The Straits Times. She is a renowned columnist with over three decades of experience in the media industry. Jon Gresham is a long-term resident of Singapore, an award-nominated photographer, and the author of We Rose Up Slowly (Math Paper Press, 2015), a collection of short stories. He is a member of the Board of Directors’ Executive Committee. Peggy Pao-Keerthi Pei Yu is a Legal Service Officer and an experienced public speaker. She has a keen interest in the arts and a passion for organisation. Toh Hsien Min is the founding editor of the Quarterly Literary Review Singapore, an executive director in the risk function of a global bank, a Chartered Financial Analyst and the author of four books of poetry. Marina Mathews is a PR & Marketing veteran based in Singapore for more than a decade. She is currently the Managing Director of her own firm Chrysler Communications. Daryl Qilin Yam is a writer of prose and poetry. His first novel, Kappa Quartet (Epigram Books, 2016), was longlisted for the inaugural Epigram Books Fiction Prize. He is a member of the Board of Directors’ Executive Committee. Station Control (outgoing) / Daryl Qilin Yam is a writer of prose and poetry. He runs and manages Sing Lit Station's programmes, online presence and financial accounts on a full-time basis. Station Manager / Azira Amran is a freelance writer & copy editor for Times Publishing Limited. She manages our workshop-for-schools programme Book A Writer, Camp Lit, and other special projects. Station Manager / Klarissa Schmitt graduated from NUS with a degree in English Literature in 2017. She assists Sing Lit Station with administration, programme management, fundraising and financial matters. Station Intern / Shalani Devi is a recent graduate of Ngee Ann Polytechnic, with a diploma in Mass Communications. She assists Sing Lit Station with the organisation and management of Sing Lit Cloud. Station Director / Jon Gresham is a photographer and writer of fiction. He assists with legal / financial issues on an ad hoc basis, conducts Writing The City and our migrant writer workshops, and oversees Sing Lit Station's schools outreach and workshop programme, Book A Writer. Station Senior Associate / Tse Hao Guang is a poet. His first full-length collection is Deeds of Light (Math Paper Press, 2015). He oversees the operations of poetry.sg, Manuscript Bootcamp 2017 (Poetry), and other developmental programmes. Station Senior Associate / Jennifer Anne Champion is a writer and performance poet. She is the author of two poetry collections, A History of Clocks (Redwheelbarrow Books, 2015) and Caterwaul (Math Paper Press, 2016). She is the multimedia editor of poetry.sg. Station Senior Associate / Pierre Vinclair is a freelance editor and multilingual translator from France, currently based in Singapore. He assists Sing Lit Station with management of our venue and our writer-in-residence programme. Station Associate / Sim Jia Ling is a Beijing-based undergraduate invested in the local arts scene. She assists Sing Lit Station with the creation and dissemination of social media content. Station Associate / Jerome Lim reads English and Latin Literature at the University of York. He is an educator, a writer of critical essays and poems, and is the deputy editor-in-chief of the literary magazine Unseen. He assists with the administration of poetry.sg. Station Associate / Andy Winter is currently waiting to read English at Nanyang Technological University. They write poetry and speculative fiction, with the hope that the local literary and drag scenes might intersect one day. They assist Station Director Joshua Ip with special projects.